Jaguar has long distinguished itself by offering luxury and high-end sedans to clients looking for a unique car with exclusive features. Over the years, Jaguar has kept its touch of exclusivity that makes the British manufacturer so unique while transposing it to other segments, such as compact luxury sedans. The 2018 Jaguar XE is the perfect example. There are a lot of luxury compact sedans on the market, which means that consumers have several options. With the 2018 Jaguar XE, we get a vehicle that is perfectly balanced between comfort and performance with a wide range of engines and the latest connectivity and safety technologies. We also get a car with a style that is both elegant and aggressive. It's rare to turn heads at the wheel of a luxury compact sedan, but with the 2018 Jaguar XE, it happens every day. 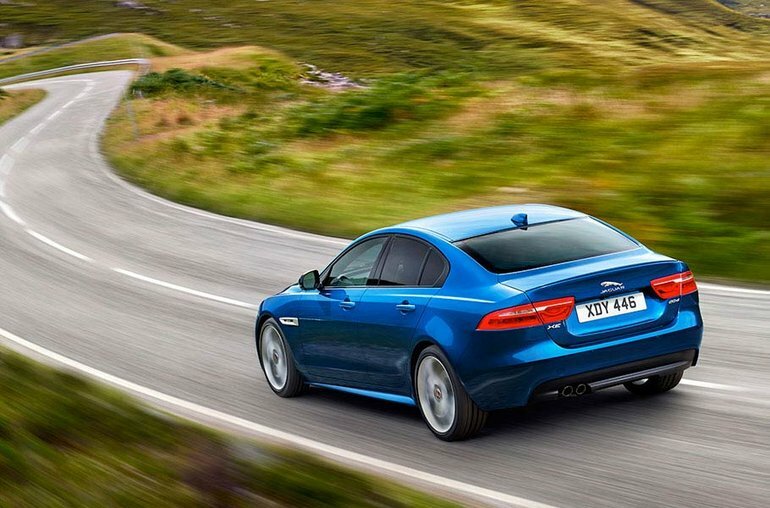 The 2018 Jaguar XE offers a solid chassis and a very agile drive where handling is predictable and tight, making the XE a vehicle that is quite impressive on a winding road. It is possible to adjust the driving behaviour of our Jaguar XE according to different driving modes as well. So we get a more comfortable ride or a sporty one according to our individual preferences, and can adapt our XE to whatever situation. Under the hood, we get a 2.0-litre four-cylinder engine developing 247 horsepower, or buyers can opt for an even more powerful version of the turbo engine that offers nearly 300 horsepower. A diesel engine is also offered with 180 horsepower and torque that exceeds 300 lb-ft. The 2018 Jaguar XE is the luxury sedan that requires no compromise. Come drive it today at Decarie Motors Jaguar and see why it has managed to stand out in its segment since it launched.